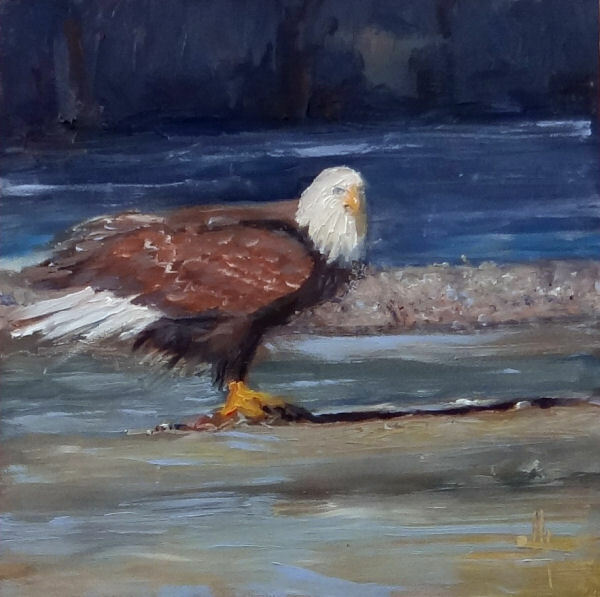 The painting today is from a great photo my husband took of a bald eagle that was eating a fish on the river by our home. He did a great job capturing the visitor and I knew I just had to paint one of his photos. I like the composition in this painting and how the lightest light is close to the darkest dark. I like the lines of the water and sand that seem to move your eye around and back into the eagle's face. I am happy with this rendering.